Established in 2007, our gym is a modern, fully equipped facility with a high standard of maintenance. See our Gym Equipment page for a full list of equipment. A wide range of Group Fitness Classes are available for all fitness levels. These are free to members and casual visitors are welcome. The classes are designed to give participants a complete workout under the guidance of a fully trained instructor. Click here to view our Group fitness class timetable. We provide a climate controlled environment for your comfort and maintain a high standard of hygiene for client safety and security. There are membership options to suit your individual needs. Casual visitors are welcome to use the facilities during staffed hours on a pay as you go basis. The facility has supervised hours and we have fully qualified Registered Exercise Professional Personal Trainers available for that extra motivation. Click here to meet the team. We are now 24/7 !!! We have been operating 24/7 since mid December. There are a few extra precautions we need to take to ensure the safety of our members. All of the information you’ll need is now in the about us dropdown menu above as well as below. 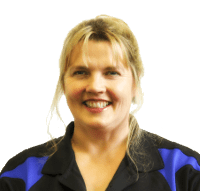 Michelle Morris is the owner of Bodyworx Fitness Centre in Hokitika. Bodyworx opened in May 2007. 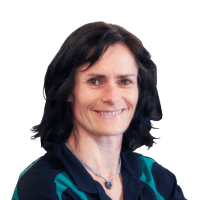 She is an internationally Qualified Personal Trainer and is a Registered Exercise Professional currently practicing part time while completing a degree in Physiotherapy from Otago University. Michelle is a current Registered assessor for the Fitness Industry which ensures her team perform to a very high Standard. Her efforts were recognised at the New Zealand Fitness Awards 2013, where she was awarded a national award for her contribution to workplace education. Other qualifications include Wellness Coach and Fitness Instructor through Netfit Auckland, Strength Trainer, Pilates, Yoga, Boxing, Indoor Cycle, Step, Pump, Tai Chi and Zumba Instructor, experienced in exercise rehabilitation. Michelle has grown up in the industry with her parents Yvonne and Bruce Reeves who have been in the Fitness Industry for over 25yrs. Michelle and her husband have four children and two grandchildren and have a good understanding about the challenge of work/life Balance. Michelle enjoys sharing her knowledge with people to help them reach their full exercise potential. 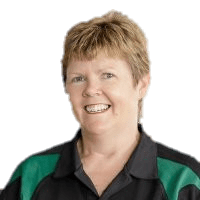 With more than 35 years’ experience in the health and fitness industry Yvonne is passionate about the importance of regular exercise for having owned and operated two highly successful fitness facilities in the Waikato. She has recently moved to Hokitika to enjoy the West Coast lifestyle and has joined her daughter Michelle at Bodyworx Fitness Centre. She is a REP’s registered qualified Personal Trainer, Group Exercise Instructor and rehabilitation exercise practitioner. She holds a BHSc and a Post Graduate Diploma in Rehabilitation as well as her numerous qualifications in the fitness field. With a qualification in Adult Education, she is also a registered Assessor for Skills Active and is available for training and assessment in the fitness industry upon request. REP’s registered and currently completing her studies as Personal Trainer. Adele believes that living a balanced life helps us all achieve our personal potential. Joining the gym in 2015, Adele soon realised her dream to compete in a bodybuilding competition and now has 3 competitions under her belt. She enjoys training clients utilising aspects of the sport she loves. She has strong customer service skills developed from an adventuresome 7 years in the tourism industry. Mum to 3 active young girls, Adele balances work, play and family life.